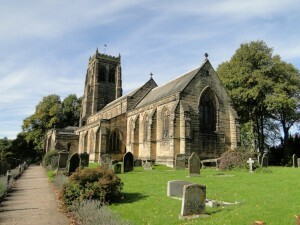 An interesting drive to Stannington on Saturday 1 October 2010. We went the pretty way (so pretty I had to get the map out less than five miles from home). I’ve been to the Ridley Arms, and to see Colin the (soon-toretire) Vicar, but never been in the church before. It is a church with a proper car park at NZ210794, and they have a website [this has changed from when I visited, but hasn’t been updated for a year] – which tells me they call their Sunday School “Sin Busters”. I’m not sure what to say about that. 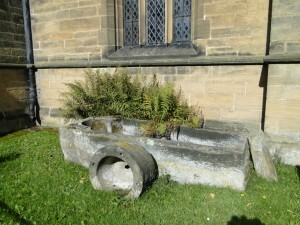 They found a Saxon gravestone, which would predate original foundations of circa 1190. It was in a state of disrepair and so a new church was built 1870/71, promoted by the 4th Baronet Ridley. It is built of Bassington dressed stone quarried locally, designed in the Early English style, with two Norman pillars and a Norman arch kept from the old church. In recent years a new kitchen and a couple of meeting rooms have been inserted at the back – inserted very well. The architect was R.J. Johnson (1832-1892) who did a lot of work in the Diocese. 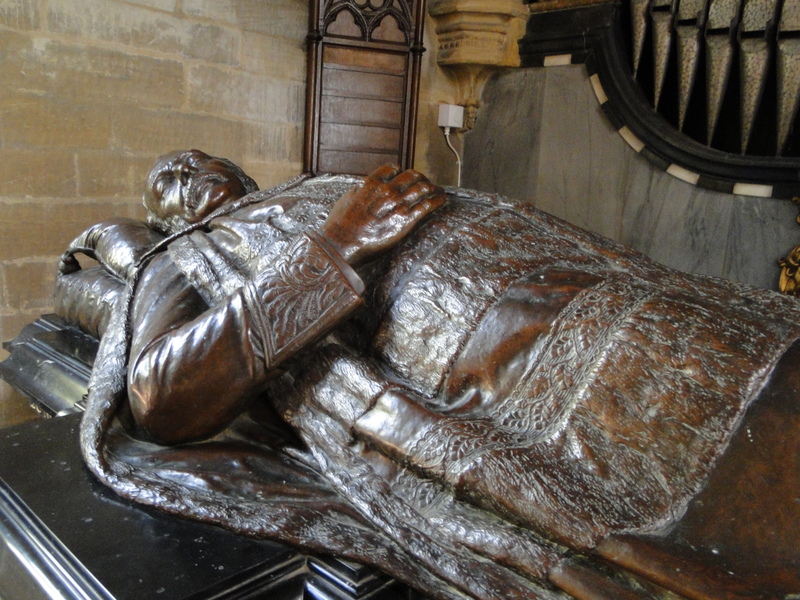 One of his other churches is Holy Saviour Milbourne – one of mine. 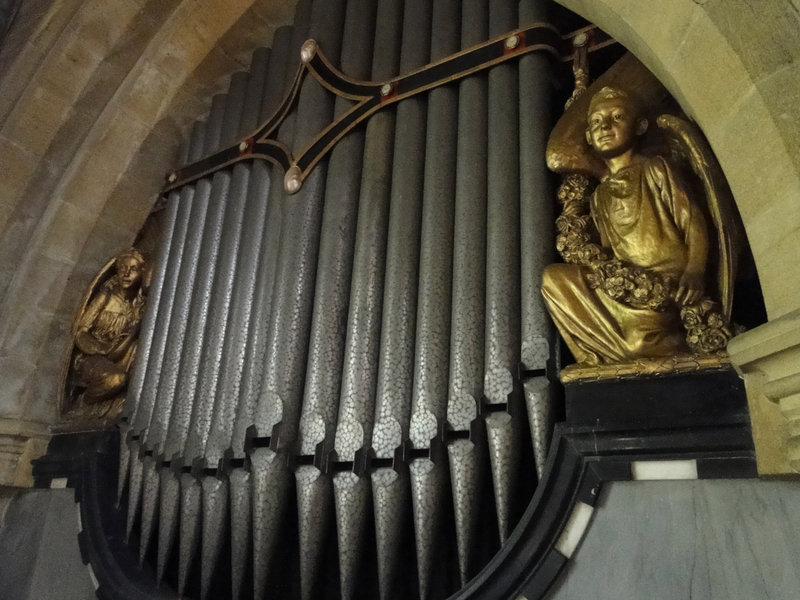 He was architect for Newcastle Cathedral 1881-1892, and also designed the Armstrong Building for Newcastle University. 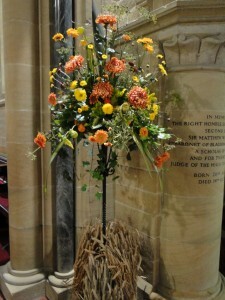 It is harvest weekend, and the final couple of flower arrangers were surveying their triumph. 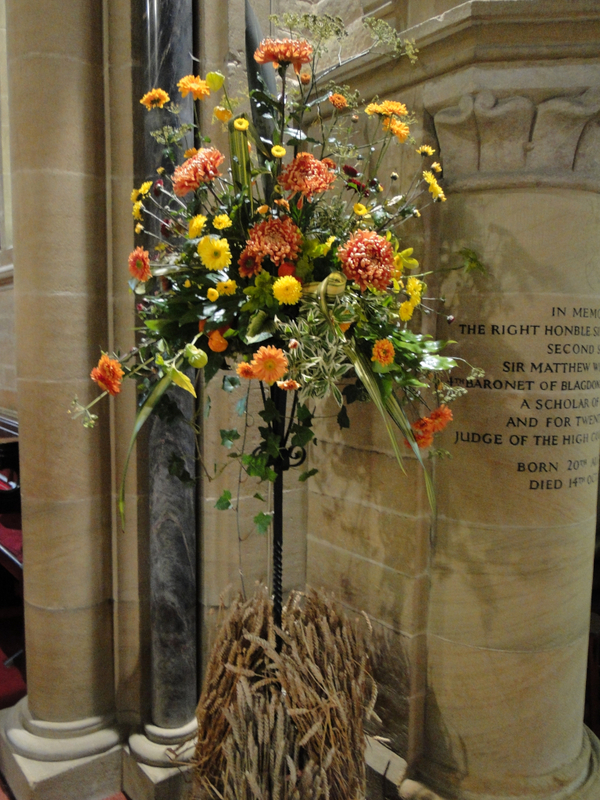 An hour earlier, one of the more formidable ladies in my parish was telling someone they were not allowed to put flowers in my font! 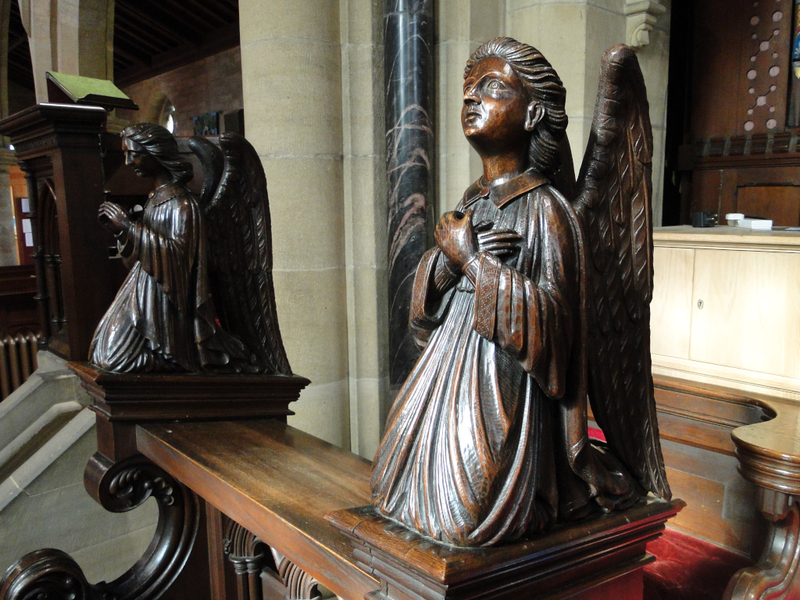 There are a lovely selection of angels and cherubs – the top two are on the priest’s stall, the bottom on the organ (Nicholson Brothers). The windows are full of them too – but I find it very hard to photo stained glass windows. Clayton and Bell East Window Incarnation, Crucifixion and Resurrection; elsewhere Annunciation, various Virtues, Northumberland Saints, Mary of Bethany (with Martha in the background holding a pile of washing up), and – in the West Window – the Archangels (the most stunning of them all, this one by Kempe). The Blagdon Estate, which surrounds the village, belonged in 1240 to Sir John de Plessey. It passed to the Widdringtons and to the Fenwicks. In 1692 it passed to Matthew White, a wealthy coal merchant and pit owner from Newcastle. The present house was built by his son Matthew White in 1720. His son Matthew White became a Baron, but he died without issue and the title passed to his sister Elizabeth who had married Matthew Ridley of Heaton Hall in Newcastle. The Ridley family was an old family – and the two families (Ridley and White) were connected in many ways. The Fourth Baronet was the one who built the church. The Fifth Baronet served as Home Secretary 1895-1900 and was created a Viscount. He has a wonderful monument at the east end of the North Aisle, a monument by Sir William Reynolds-Stevens, exhibited at the Royal Academy in 1914. Outside the main door is a much older tomb – I wonder who lay there. Lavender planted up the path and old yew trees by the Lych Gate. We drove through the village to Stannington Station, and had an excellent lunch at Moorhouse Farm Shop – website. According to the website which I found in 2010 (but seems to have disappeared by 2015) www.northumbrian-railways.co.uk the station opened on 1 March 1847 as Netherton, renamed on 1 January 1892 as Stannington, closed to passengers on 15 September 1958 and to goods on 10 August 1964.